Support the AG and Legal Workforce Act! Tell Congress to Fix Horse Industry Labor Shortage, Support the AG and Legal Workforce Act! As Congress moves closer to the August recess, House lawmakers have followed-up on a commitment to the horse industry to introduce legislation that focuses on labor shortages at race tracks, breeding farms, and horse shows, among other operations. On July 18, House Judiciary Committee Chairman Bob Goodlatte (R-VA) joined 44 co-sponsors to introduce the AG and Legal Workforce Act of 2018 (H.R. 6417), legislation which remedies chronic labor shortages in American agriculture by creating a modern and flexible guest worker visa program. Following through on a commitment to pass a farm bill prior to the Fourth of July recess, on Thursday evening, June 28, the Senate passed the Agriculture Improvement Act of 2018 (S. 3042) by a vote of 86 to 11. Unlike the House version of the bill that narrowly passed by a two vote margin on June 21, the Senate bill moved forward with strong, bipartisan support. Fortunately for the horse industry, the Senate package resembles the House version by addressing many of the sector’s top animal health priorities. Highlights include authorization of a new National Animal Disaster Preparedness and Response (NADPR) program; support for the National Animal Health Laboratory Network (NAHLN); and creation of the National Animal Health Vaccine Bank that will focus on risks posed by Foot and Mouth Disease (FMD). With respect to authorization of animal health programs, a preliminary review shows that the Senate bill more closely aligns with horse industry priorities than the House bill. For example, the Senate bill authorizes $30 million each year to fund the NAHLN, matching the request from the horse industry and its partners. Although the bill doesn’t authorize specific dollar amounts for the NADPR and the vaccine banks, it creates flexibility by “authorizing sums as necessary” to implement the programs. 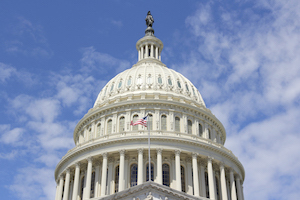 AHC will continue to review the senate version of the bill for provisions that could impact the industry, including programs administered by the Department of Agriculture’s Foreign Agriculture Service that could help develop international markets for the sector. Tell Senators to Co-Sponsor Bi-Partisan PAST Act of 2018! Thanks to persistent advocacy focusing on your senators during the past several months, Sens. Crapo (R-ID) and Warner (D-VA) have led a bipartisan charge to re-introduce the Prevent All Soring Tactics (PAST) Act of 2018 (S. 2957). Other original co-sponsors include Sens. Blumenthal (D-CT), Collins (R-ME), Daines (R-MT), Feinstein (D-CA), Markey (D-MA), McCaskill (D-MO), Moran (R-KS) and Toomey (R-PA). As you know, S. 2957 will strengthen the Horse Protection Act and finally end the soring of Tennessee Walking Horses, Spotted Saddle Horses, and Racking Horses. The American Horse Council, along with most major national horse show organizations and state and local organizations, supports the PAST Act. We encourage you to send a letter to your senators urging them to sign on as co-sponsors and move this important bill forward! The AHC News is provided to you as a benefit of your AHC membership, and we hope you find the articles informative and useful. While the AHC does grant permission for newsletter articles to be passed on, we hope you will encourage those you are sharing the articles and information with to join the AHC so they can stay informed and up-to-date! Permission to pass on the AHC News articles to your members, readers, or others is granted on the condition that it is forwarded in its original form or directly linked with the AHC logo and a link to the AHC website. 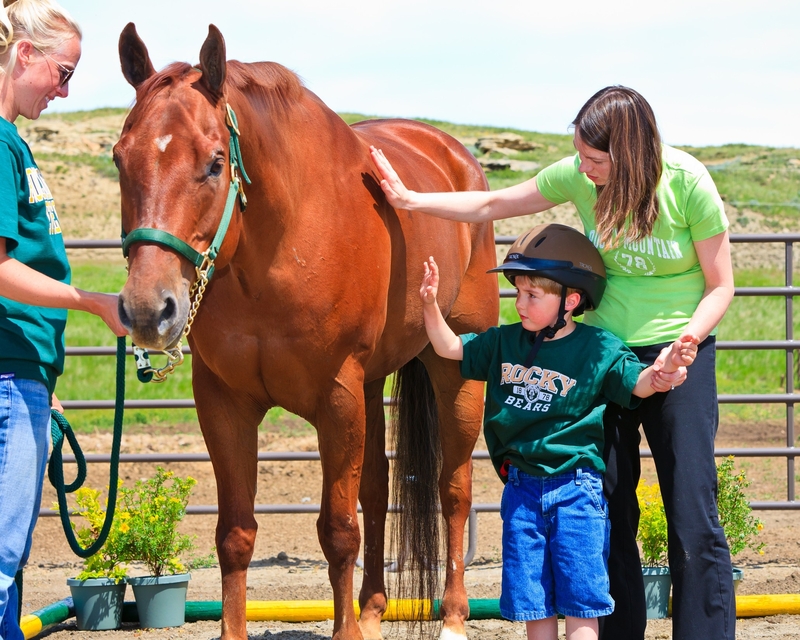 Lawmakers Boost Funds for Equine Assisted TherapyBuried in the text of the 2,232 page omnibus spending bill enacted in late March, Congress included a provision to increase funds available for equine-assisted therapy by $1 million in FY2018. Following a weeks-long standoff over work requirements for supplemental nutrition assistance plan (SNAP) benefits, House Agriculture Committee Chairman Mike Conaway (R-TX) released the Agriculture and Nutrition Act of 2018 (H.R. 2) on April 12. 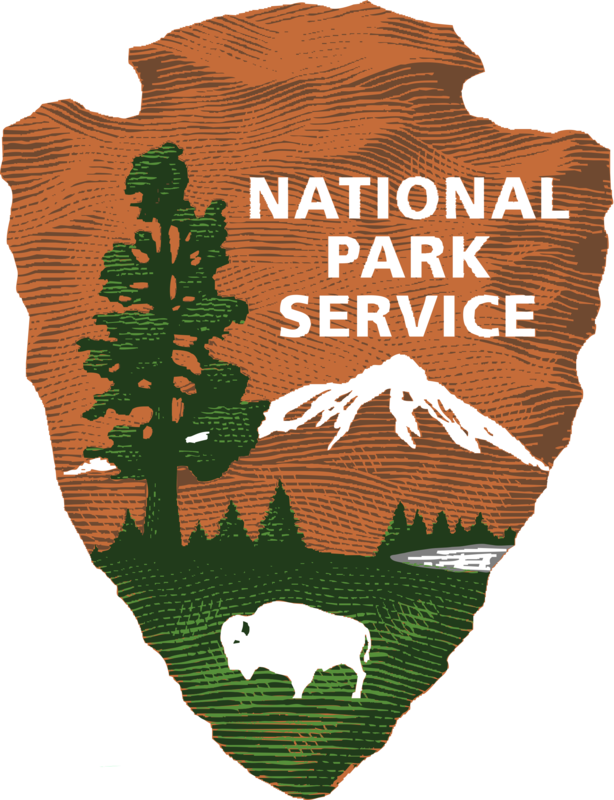 The National Park Service (NPS) announced a new entrance fee structure intended to raise money to repair the nation’s aging park infrastructure, which includes a maintenance backlog of $11.6 billion. 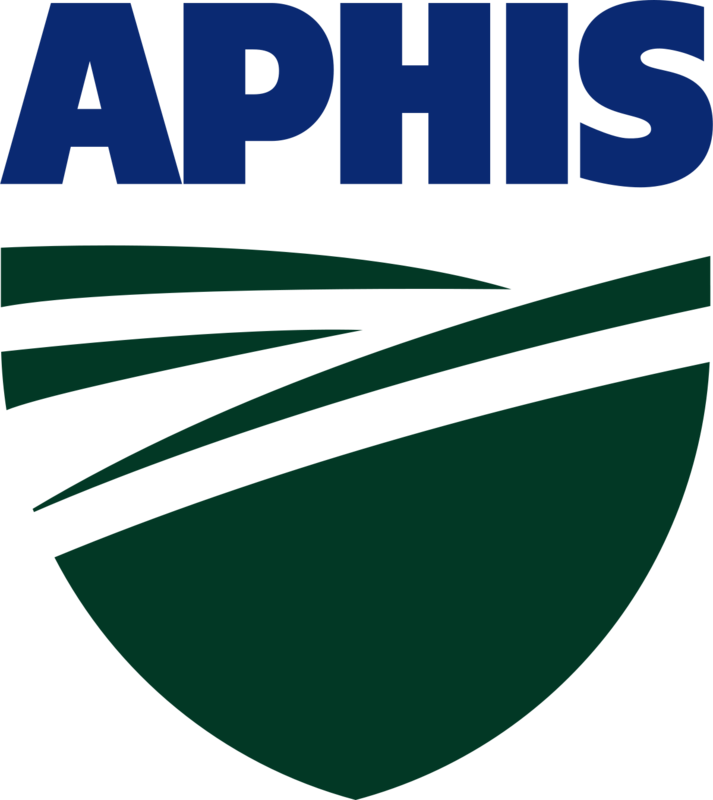 Every year the AHC is invited to participate in a stakeholder meeting with the Administrator of the USDA’s Animal and Plant Health Inspection Service (APHIS). 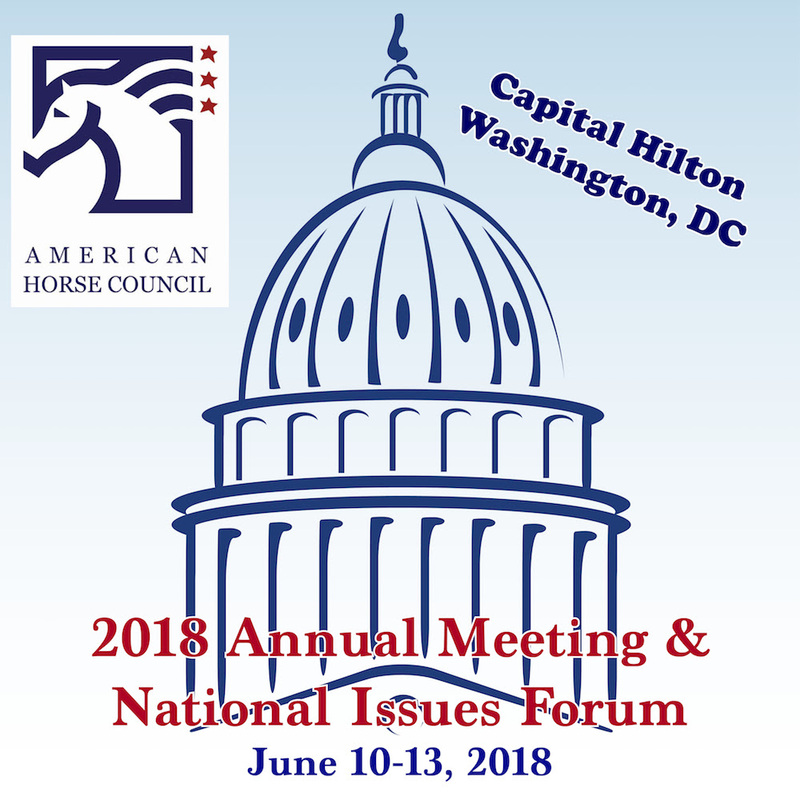 Registration is now open for the American Horse Council’s (AHC) 2018 Annual Meeting and National Issues Forum. In February, AHC staff attended The Livestock Conservancy’s (TLC) first National Endangered Equine Summit. The topics for the AHC’s 2nd quarter webinar for 2018 will be Microchipping. The webinar will take place on Monday, May 14th at 3:00 pm ET. Help the UHC Prevent Unwanted HorsesThe mission of the American Horse Council Foundation’s (AHCF) Unwanted Horse Coalition (UHC) is to reduce the number of unwanted horses and to improve their welfare through education and industry collaboration. Of course, one of the best way to reduce the number of unwanted horses is to prevent unwanted breeding. The AHC is pleased to announce that the topic for its 2nd quarter webinar for 2018 will be Microchipping. The webinar will take place on Monday, May 14th at 3:00 pm ET. Presenting will be Angela Pelzel-McCluskey, DVM, MS from the U.S. Department of Agriculture (USDA), TC Lane from the United States Trotting Association (USTA), and Ashley Furst, Director of the Unwanted Horse Coalition (UHC). The webinar is open to both AHC members and non-members—we encourage everyone to attend! To register for the webinar, please click here. The webinar lasts approximately one hour, and will allow for Q&A at the end of each speaker’s presentation. If you have any questions, please contact Ashley Furst at afurst@horsecouncil.org. We look forward to having you join us for our 2nd quarter webinar! Registration is now open for the AHC’s 2018 Annual Meeting and National Issues Forum. Registration information, along with a tentative schedule is available on the AHC Website here: http://www.horsecouncil.org/events/ahc-annual-meeting-national-issues-forum-2/. The theme of the National Issues Forum will be “Let’s Capitalize On It!” and will focus on ways the equine industry can learn and grow from both equine and outside industry segments as well as expanding technology beneficial to both humans and equines. The afternoon session will start with Dan Ashe, President and CEO of the Association of Zoos & Aquariums (AZA). AZA is a nonprofit association dedicated to the advancement of zoos and aquariums in the areas of conservation, animal welfare, education, science and recreation. Noted author and journalist Fran Jurga will also be speaking on emerging technologies in the equine industry. Also speaking will be Anne Poulson, Dr. Yuval Neria and Dr. Prudence Fisher from the Man ‘o War Project and Columbia University Medical Center presenting their methodology and findings from their clinical research to determine the effectiveness of EAAT on military veterans suffering from PTSD. Also include panels of Congressional representatives, and equine aftercare, followed by round table discussion on topics of interests. New this year, vendors will be set up to provide live demonstrations of emerging technologies including health monitoring sensors for horses and virtual reality demonstrations. The AHC’s Annual Meeting will take place Sunday, June 10th – Wednesday, June 13th. Sunday and Monday various committees of the AHC will meet. The Annual Meeting and National Issues Forum will take place on Tuesday and are open to both AHC members and non-members- we encourage anyone involved in the equine industry to attend to learn about new developments and how they can become involved! If you have any questions, please do not hesitate to contact the AHC at info@horsecouncil.org or 202.296.4031. AHC will deliver updates on more details within the 2018 omnibus spending package that impact the horse industry as they emerge. To view a copy of the 2232 page bill, please click here: http://docs.house.gov/billsthisweek/20180319/BILLS-115SAHR1625-RCP115-66.pdf. If you have questions about FY2018 appropriations, please contact Bryan Brendle, Director of Policy and Legislative Affairs, at bbrendle@horsecouncil.org. ACTION ALERT- H2-B Visa Cap Relief Needed Now! As the March 23 deadline to finalize a FY2018 spending bill approaches, the horse industry and its allies continue to urge lawmakers to include H-2B guest worker visa “cap relief” in the final spending bill. Please contact your federal elected officials today and tell them to support any provision that will provide H-2B visa cap relief within the context of FY2018 appropriations bills. Congress can help provide the tools you need to grow your business in 2018 by enacting visa cap relief today! 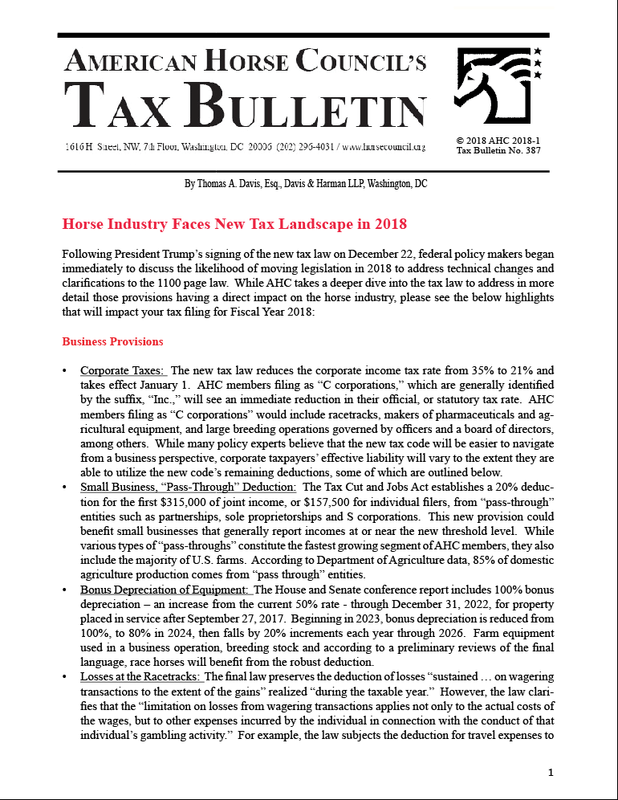 Two major policy developments have dramatically changed the tax landscape for horse owners and millions of other Americans as they make nancial plans for their businesses and families in 2018 and beyond: enactment of the Tax Cuts and Jobs Act of 2017, which rewrites major business and individual provisions of the tax code; and passage of the Bipartisan Budget Act of 2018 (aka, “tax extenders”), which extends for one year a host of tax incentives that expired at the end of 2016. The Federal Motor Carrier Safety Administration (FMCSA) followed their recent meeting with AHC staff, a meeting in response to the AHC request for clarification , by releasing two documents on the existing Commercial Driver License (CDL) regulations and how those regulations impact the horse industry. The AHC is appreciative of the horse specific efforts that FMCSA have taken to quell the concerns of our recreational enthusiasts. The guidance titled “Agricultural Exceptions and Exemptions to the Federal Motor Carrier Safety Administration Hours of Service (HOS) and Commercial Driver’s License (CDL) Rules” and “Non-Business Related Transportation of Horses ” explain how published FMCSA guidance provides an exception for the transportation of horses when the transportation in question is not business related (neither for compensation, nor where the driver is engaged in an underlying business related to the move). In these cases, the Federal Motor Carrier Safety Regulations do not apply, even if prize or scholarship money is offered. This includes the Hours-of-Service (HOS) regulations, requirements for Electronic Logging Devices (ELD) and CDL regulations, unless required by the driver’s home state. Both documents contain example scenarios that may help horse owners better understand the regulations as they exist today. The AHC will continue to pursue clarifications until the industry is satisfied that there are no unintended consequences from current CDL or ELD regulations. The AHC will take action where clarifications are not sufficient, including the continued collaboration with the entire livestock industry to get a delay in ELD enforcement. AHC staff are still compiling the industry’s concerns and questions to forward to DOT and invite people to share their comments. Additionally, DOT has established a specific email address for agricultural specific questions at agricultural@dot.gov . This address will be used to generate a future F.A.Q. page. The AHC encourages our members to share their questions to the DOT email as well to better highlight the existing concerns regarding the interpretation of CDL regulations. If clarifications and the F.A.Q. fail to address the concerns of our members, then the AHC will continue their efforts and pursue both legislative and regulatory solutions. Please contact the American Horse Council with any questions or comments. On February 16, the Department of Agriculture’s National Forest Service (NFS) unveiled a list of 15 trail areas that the agency is targeting for priority maintenance projects. As you recall, the National Forest System Trails Stewardship Act (PL 114-245, aka, “Trails Act”), signed into law in late 2016, directs the NFS to take steps to reduce the backlog of federal maintenance projects by identifying those that are in most need of repair. The Trails Act outlines a detailed program including goals and timetables by which the Department of Agriculture (USDA) will leverage private partners to clear trails long overdue for maintenance. USDA Secretary Perdue underscored the importance of public/private partnerships supported by the horse industry by stating that the “partners and volunteers” will “address needed infrastructure work,” amounting to about $300 million in backlog maintenance. Jim McGarvey, who leads the American Horse Council’s Recreation, Trails and Land-Use Committee, applauds the agency’s follow-through on the Trails Act directives. He states that “AHC was a proud supporter of the Trails Act, and we thank the Forest Service for its continued work in saving these trails for America’s horse riders.” By beginning work on “priority areas,” the agency is focusing on trails that were “impassable” and otherwise posed safety hazards to horsemen and other outdoor enthusiasts. On February 13, NFS personnel informed AHC members and staff that the agency will continue to explore ways to leverage public/private partnerships to maintain public trails. To view a copy of the NFS announcement, please click here: https://www.fs.fed.us/news/releases/usda-secretary-announces-infrastructure-improvements-forest-system-trails. On the congressional front, lawmakers continue to review provisions that would expand the scope of the Recreation-Not-Red-Tape (RNR) Act (H.R. 3400), one of Congress’ most ambitious public lands initiatives. The legislation would build on the success of the Trails Act by authorizing the Department of the Interior, through the Bureau of Land Management (BLM), to enter into cooperative agreements with private parties to continue to expand the role of volunteers in trail maintenance. The House Natural Resources Committee is planning to move forward with a mark-up of H.R. 3400, possibly as early as March, to incorporate provisions of the Guide Outfitters (GO) Act into H.R. 3400. The expanded bill would establish a variety of regulatory efficiencies, including creation of joint permits for activities that take place on lands administered by the National Park Service, NFS and BLM. The House Natural Resources Committee postponed a mark-up planned for Wednesday, February 14, to continue to explore ways to expand the scope of the RNR Act. If you would like more information about federal land access issues, please contact Bryan Brendle at bbrendle@horsecouncil.org or 202-296-4031. The American Horse Council met with Department of Transportation (DOT), Federal Motor Carrier Safety Administration’s (FMCSA) Deputy Administrator and leadership team this week in response to a letter sent to Secretary Chao on January 28th, 2018. AHC staff went to DOT headquarters to raise the industry’s concerns and solicit clarification on how the existing regulations should be interpreted, and how those interpretations are affecting the horse industry. The AHC expressed the industry’s interest in an increased level of stakeholder outreach, the lack of uniform interpretations nationwide, the applicability of various exemptions already in place, and the appropriate avenues for future legislative and regulatory efforts. AHC shared specific situations where rodeo, racing, competition and recreational sectors have interacted with law enforcement concerning commercial regulations. The DOT informed the AHC that a new website specifically tailored to the agricultural industry will be unveiled in the next week, with a dedicated contact for agricultural questions, and they will begin to develop a F.A.Q. to more clearly address the questions which they receive. The DOT members present did clarify that trailer drivers not engaged in business are not subject to Commercial Motor Vehicle (CMV) regulations, specifically where additional licensing is concerned. Regardless of weight, it was the interpretation of those present that going to an event that may issue prizes does not necessarily constitute commercial activity. As long as participation in the competition itself is not a component of the business with which that driver or the vehicle are regularly engaged, and expenses for said trip are not deducted for tax purposes, a CDL is not required to operate the CMV in question. Those interpretations, as are all CMV regulations, are specific to federal regulations, and state regulations may be less forgiving. The AHC is excited about the opportunity to develop this relationship with DOT-FMCSA. The equine community should look forward to utilizing these lines of communication in the future to assure industry wide compliance and protection of individuals driving both commercially and recreationally. The AHC encourages the industry to reach out to state law enforcement to determine how best to comply with the state regulations. As additional information on this subject becomes available, the AHC will share that with our members as quickly as possible. Visit http://www.horsecouncil.org/eld-mandate-cdl-requirements/ for AHC materials on this subject. Please contact the AHC with questions or concerns. 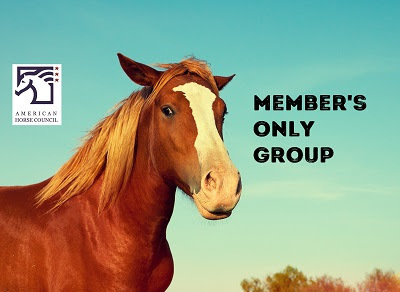 Join our Member’s Only Facebook Group! As a member of the AHC, we know want you to stay up to date and informed of the issues that could impact the industry you love. That’s why we created our Member’s Only group on Facebook- a place where we can post information and updates and get our members immediate feedback. * In addition to the Washington Updates you receive, this is just one more way the AHC is working to keep our members informed and up-to date! Click below to join the group today! *Only current AHC members are eligible to join. All requests to join will be subject to verification by the AHC. The AHC is in the process of looking at hotels for our 2019 Annual Meeting and National Issues Forum and we want our member’s opinion! Please take a moment to complete the survey at the link below. We would appreciate your response no later than Wednesday, February 21st. While registration filled up quickly for the AHC’s First Quarter 2018 webinar on the Electronic Logging Device (ELD) and Commercial Drivers License (CDL) requirements, the AHC recorded the webinar in order to share with our members.